Though it’s less popular than Google, Bing remains a significant player in SEO and local marketing in the United States. Including Bing Ads in your search marketing budget can help your website reaches audiences that are missed by companies that focus their efforts on Google. Advertisers on Bing may soon get more from the ads thanks to a new feature. Bing introduced Action Extensions which adds call-to-action to text ads on the platform. Last week, Bing Ads introduced a new Action Extensions feature. This extension allows advertisers to highlight a call-to-action on their text ads. Making the call-to-action easier to see is supposed to encourage consumers to respond to ads more quickly. There’s no added cost for the engagement from the new feature. When advertisers using Action Extensions, the clicks on the call-to-action will be charged the same cost-per-click (CPC) as clicks on the ad headline, similar to sitelink clicks. It is also possible to customize the URLs for the call-to-action in multiple ways. However, these URL fields are all optional. 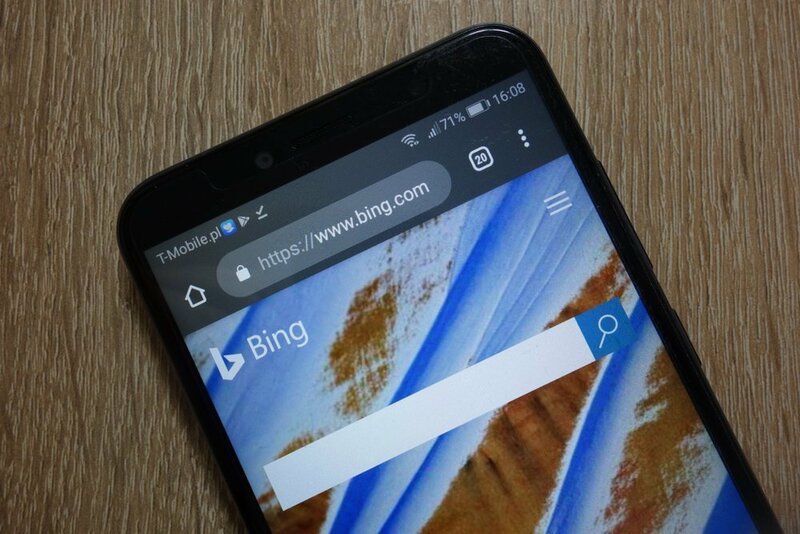 If a custom URL is not used for the Action Extension, Bing will use the ad’s default URL as the landing page when the call-to-action button is clicked. For some ad sets, the URL at the keyword level will be used. There are several ways that Action Extensions can be added to an ad campaign. Advertisers can manage Action Extensions through Bing Ads online, the bulk account management tool, the Bing Ads campaign management service API, or the bulk API. Action Extensions are available now and can be used on PC and mobile devices in all Bing markets. These texts ads aren’t limited to English. Bing Ads allows advertisers to use up to 70 pre-defined Action Extensions in all Bing Ads supported languages. Besides English, this includes German, French, Spanish, Italian, Portuguese (Brazil), Dutch, Swedish, Traditional Chinese, Danish, Finnish, and Norwegian. Action Extensions are an excellent addition for Bing Ads. It should give advertisers and marketers another reason to start using the platform if they aren’t already. It’s estimated that Bing accounts for around a third of the U.S. search ad market. For more recent news about search marketing, read this article on Google Hotel’s new push to include more rental properties in their search listings.